Water damage is a common problem that most of the house owners are facing nowadays because of the low quality material being used in the construction. Also, the inefficient professional workout is also for the water damage caused in the house. The destruction caused by the excess water in the house such as seepage and wall cracking is usually expensive to repair. Therefore, in order to prevent the house from getting damaged by the water access in the house, it is important to build a strong foundation that will protect the house, its walls, and its ceilings from cracking, seepage, and other issues that cause health destruction as well. For this purpose, basement waterproofing contractors can do certain treatment to your basement to make it waterproof, which is a new thing introduced by the renowned construction companies. This is a procedure in which the experts use their professional equipment to make the basement waterproof with the help of the chemicals and construction material such as sealing agents and concrete etc. However, not everyone is comfortable with the idea of hiring a professional for doing the job because of their own personal choices. This is why they opt to go for the easy, simple, and inexpensive option i.e. the DIY tutorials. 1 Why do people choose the DIY basement waterproofing? Why do people choose the DIY basement waterproofing? The main reason why people choose the DIY basement waterproofing is that they do not tend to get satisfied from the work done by someone else whom they think can be done by them as well. This is something to be noticed about the people who are making the most of the technology and its spreading awareness that allows them to do literally anything just by one-click. Moreover, although basement waterproofing is a complicated job to try your hands at it as an inexperienced person, it can still be done with the right guidance from an experienced person who has had a successful encounter for the same. This is also one of the main reasons for people getting encouraged for DIY basement waterproofing as more people are getting involved with the business that proves to be helpful for the others. Here are some of the more reasons why people choose the DIT basement waterproofing over hiring a professional for it. DIY projects are usually done because they are comparatively inexpensive. For instance, if you hire a professional for doing the job then the company will charge you with keeping their profit in between so obviously their rates are higher. Whereas if you do it at home on your own, then the equipment, tools, and materials will be bought accordingly in the accurate quantity to not let anything gets wasted. Also, most of the time, the equipment and tools are available at home only and there is no need to buy it so there is obviously a price reduction. Professionals do the job at the accurate time and not within the specified time period. This is because they’re trained to follow a particular procedure which does not allow them to speed up the basement waterproofing process. Whereas, when you do it on your own with the help of the online tutorials, the work can be done in less time with a high speed. This one is for people who are fond of doing everything on their own without any supervision or guidance. There are some people who are well-aware of the basement waterproofing, the material used in it, and the procedure to follow so they do not feel like hiring a professional because this is what they had been all their life i.e. fixing things on their own without any assistance. There are two ways to do the DIY basement waterproofing; one is the easy way while the other is a bit tricky and complicated. However, both of them are quite possible to do with the correct instructions and information from the reliable source. Here is how. Remove the paint, sealants, tiles, and other excessive items from the concrete that have damaged due to the wall/ceiling/basement cracking. If there is a loose or crumbling concrete on the base then remove all of it with the help of the tools to clean the surface area. Use a reliable and durable sealant from a renowned brand to seal the cracks, holes, and spaces in between the walls, basement, and ceiling. Wait for a couple of days for the mixture to dry out and then apply the coating on the other side with the same instructions. Before following the instructions, make sure that the sealant is capable of sealing concrete, bricks, or stone basements. First, dig all around the basement carefully to ensure a clear surface are to apply the sealant in by taking care of the drainage pipes and underground-water system of the house. Check for cracks if there are any then apply hydraulic cement on to fix them first and then move ahead with the waterproofing procedure. Apply sealant to the interior as well the exterior of the basement for the assurance of a well-sealed outer and inner layer of the concrete. This can be by using the spray or a roller to make it look perfect. The next step is to apply a membrane using a trowel or roller. It should be done with the material such as asphalt because it has great waterproofing properties. Installing a drainage mat is the next step which can be done by using molded dimples. It should be cut for putting it to the depth of the foundation to reduce the pressure on it. The weeping tile should be installed above the water level so that it does not allow the pipes to drain, flood, and cause water damage. 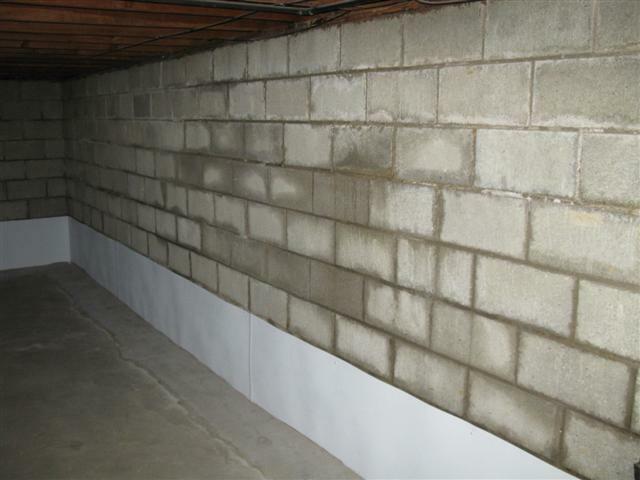 Basement waterproofing is both tough and easy. It all depends on your personal skills and knowledge that you have gained to do the task on your own. However, make sure to do it with the safety precaution so that you don’t harm yourself or the people around. Still if you live on Ohio and want to take help of the professionals, you can contact DiFranco Contractors Inc operating throughout Northeast Ohio for the work.